Bollards are used to protect property and expensive dispensers from traffic collisions. 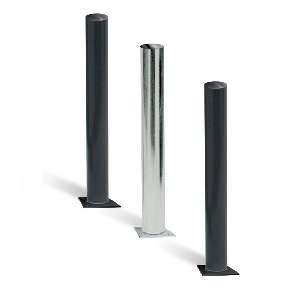 Bollards with Base Plates are for use in installations where concrete cannot be broken. Bollards are used to protect property and expensive dispensers from traffic collisions.